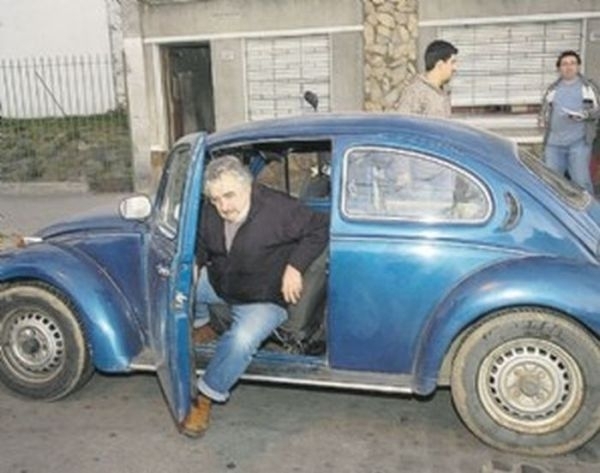 The president of Uruguay, José Mujica, may be a true “man of the people” from among the world’s leaders. He has earned a nickname, “el presidente mas pobre” (translation: “poorest president”), by giving 90% of his salary back to the people, keeping only $1,250 a month of his $12,500 per month salary to cover his living expenses. He and his wife, herself a senator who also donates part of her salary, live in a modest farmhouse at her flower farm. His biggest expense is his 1987 Volkswagen Beetle, valued at $1,945. Since he was elected president in 2010, the country has become known for being one of the least corrupt on the continent. 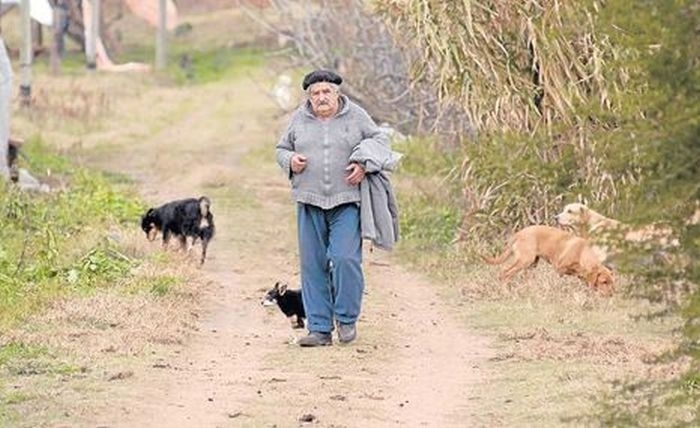 Mujica has no bank accounts and no debt, and he enjoys one thing money can’t buy: the companionship of his dog, Manuela. 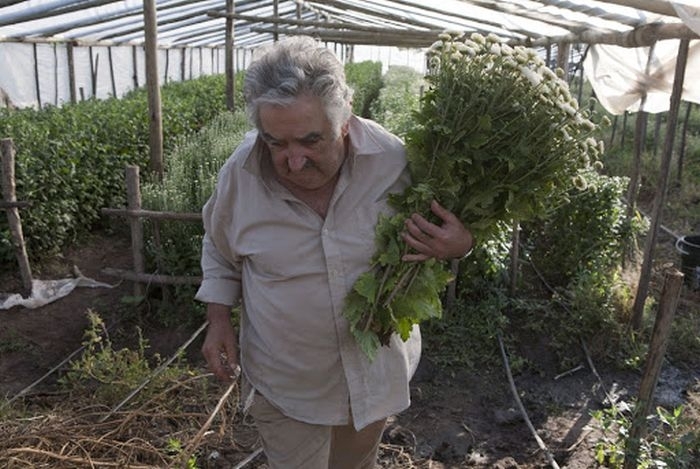 Mujica lives a very simple and austere lifestyle. He refuses to live in the Palace of Suarez y Reyes, the official presidential residence. Instead, during the coldest days of last winter, Mujica offered the use of the presidential residence, normally used for government meetings, to serve as shelter for homeless families. The Ministry of Social Development (MIDES) managed to find suitable alternatives, and the Presidential Palace was not used, but it remains as an option in case of emergencies. Most recently, just a few days ago, José Mujica took part in a meeting of CEFIR (Training Center for Regional Integration) where he attended a lecture on “Challenges for Mercosur” (the Southern Common Market). He had a bruised nose. When asked about the cause of his injury, he confessed it happened while helping a neighbour to repair a metal roof after a severe wind storm. Uruguay is the second smallest nation in South America by area, after Suriname. With an area of about 176,215 sq km, is slightly smaller than the state of Washington. However, it is the third most developed country on the continent (after Argentina and Chile), with a GDP per capita of $15,656. That’s less than one third of the United States’ GDP per capita, but triple the GDP of Bolivia and its neighbor Paraguay, which have GDP per capita of just $4,843 and $5,548, respectively. During recent years, despite the financial crisis in many European countries, Uruguay has managed to avoid a recession and has maintained positive growth rates, mainly through higher public expenditure and investment, resulting in GDP growth of 8.5% in 2010 and 6% in 2011. 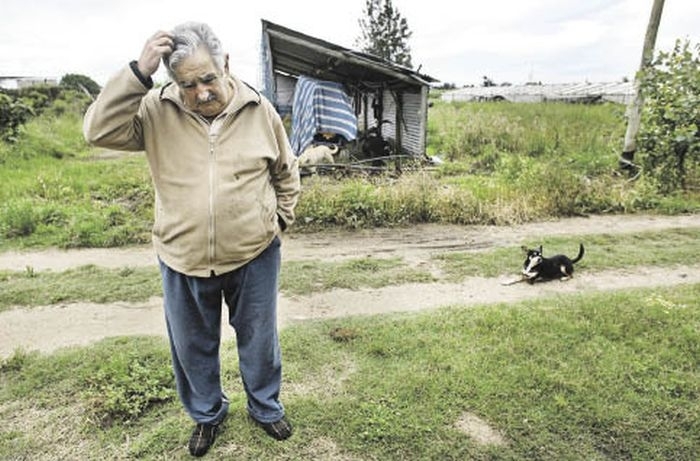 Under Mujica’s government, Uruguay has become known for low levels of corruption. The country ranks as the second least corrupt country in Latin America (after Chile) in the Transparency International’s Global Corruption Index (25th worldwide), and was listed second in Latin America (after Argentina) in the 2011 International Living’s Quality of Life Index (22nd worldwide).